Dysfunctional uterine bleeding (DUB) is heavy or irregular menstrual bleeding that is not caused by an underlying anatomical abnormality, such as a fibroid, lesion, or tumor. DUB is the most common type of abnormal uterine bleeding. Most cases of DUB are associated with anovulatory bleeding (menstruation that occurs without ovulation). Anovulatory bleeding is common in women who have PCOS and during the several years preceding menopause. When ovulation does not occur, the level of estrogen and progesterone in the uterus is disturbed, leading to DUB. 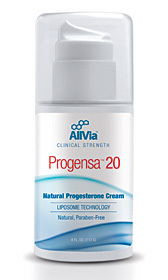 ProSoothe is an all natural herbal formula that contains several herbs that work together to bring your body, naturally into balance and reduce the excess estrogen that causes dysfunctional uterine bleeding. Milk Thistle helps to remove excess toxics such as too much estrogen from your body and improves the function of your liver. When your liver is healthier it can remove the excess estrogen that builds up in your body and interferes with progesterone levels. Everyday care of the liver lays a cornerstone for total body health.